Spirit Wear is a great way to show pride in your school around the community! 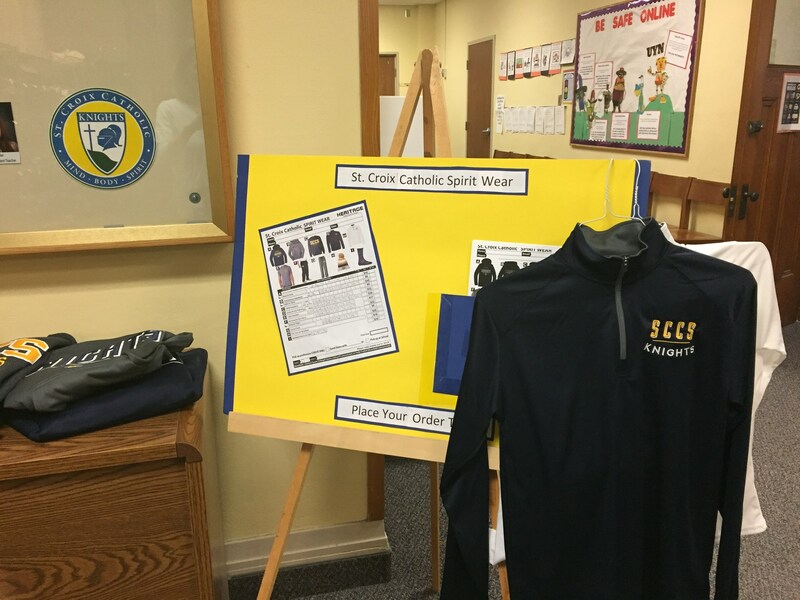 Spirit Wear can be worn on Fridays to school (except Mass days & during Lent). Soft jersey fabric t-shirt – great for kids, but also for moms that want to represent SCCS! NEW! Light weight ¼ zip pullover in white and navy. Very cool for everyone in the family…kids, moms, dads, grandparents. Perfect for coaches! NEW STYLE basketball socks…Fun and a perfect uniform match for all of our Knight’s basketball players. 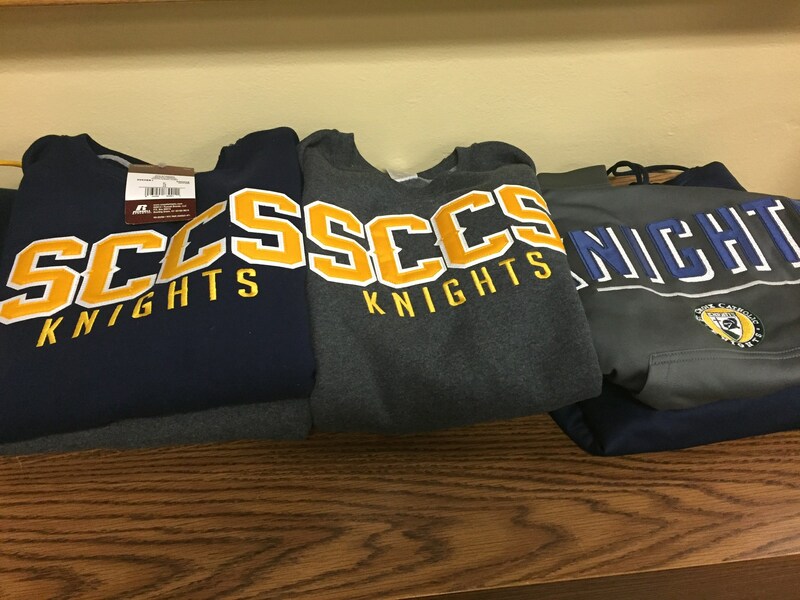 Ordering for SCCS Spirit Wear is open three times/year, typically in the summer (uniform night), before Christmas (orders due the Monday before Thanksgiving) and in the spring. Watch the FYI for news on ordering dates. 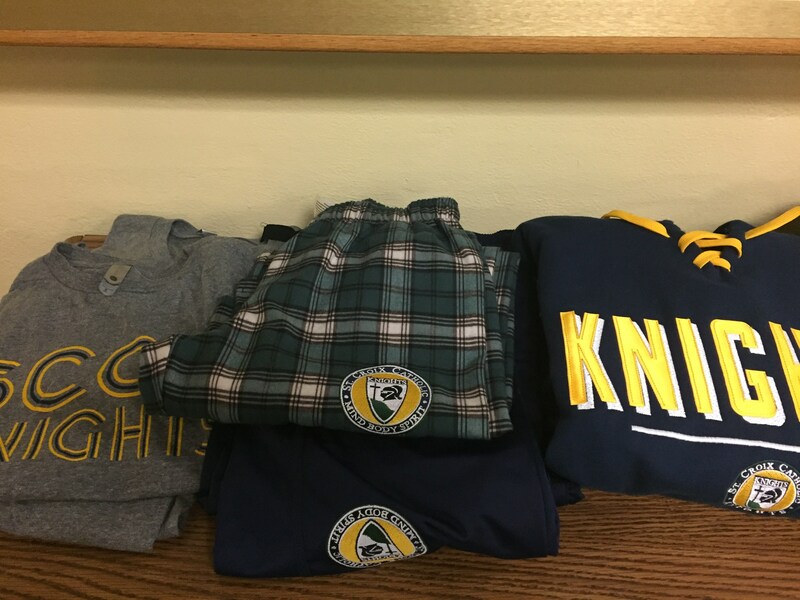 Please note that because Spirit Wear is embroidered for our school, we cannot return it to Heritage, so please be very conscious of the size that you are ordering. Samples are available during order times or by request. If you have any questions, please contact the Spirit Wear coordinators: Suzanne Mackley at tslmack@bitstream.net.